This dog collar is made from soft purple faux suede . The collar is studded with rhinestones and as a added touch, rhinestone are also precisely placed on the buckle. Your pups can now enjoy some bling with the VIP Collar. Please measure you dogs neck, chest and back length to get the appropriate size. If you pup meets min measurements, we suggest ordering a size larger. This dog collar is made from soft gray faux suede . The collar is studded with rhinestones and as a added touch, rhinestone are also precisely placed on the buckle. This is a all-in-one soft harness designed to look like a striped boy's sports jacket. It is a colorful and fun summer pattern that equals sunny lighthearted fun. The best all-in-one soft harness. Easy, safe, and comfortable to wear. It features buckle-less step-in design that is secured by a simple slide down clip. This harness is very lightweight for hot summer days. It has a cute embroidered flower on the back, coordinating trim and matching leash. Features reinforced D-Ring strip for extra strength and heavy duty hook and look colors. The heavy duty hook and loop closures are strong enough to allow you to pick up your dog to lift them out of harm’s way. This is a all-in-one soft harness in a Pineapple stripe pattern. It is a colorful and fun summer pattern that equals sunny lighthearted fun. Rhinestone studded dog leash made with soft faux suede is soft in your hand as well as stylish. This leash is great for everyday walks or for special occasions where your dog might need more Glam! This is a all-in-one soft harness in pretty pink polka dots. Complemented with buttons, ruffles and a bow. It is a colorful and fun summer pattern that equals sunny lighthearted fun. Matching lead for SnapGO Harnesses. Featuring metal lobster hooks and detachable leash handle buckle for convenience. Inner gray trim also acts as a reflector at night. Measurements: 150cm (about 59 inches) long. This is a all-in-one soft harness designed to look like a vest. Complemented with buttons and a red tie.. It is a colorful and fun pattern that equals sunny lighthearted fun. This is a all-in-one soft harness featuring sailor collar and striped pattern, available in both blue and red. It is a colorful and fun summer pattern that equals sunny lighthearted fun. This is a all-in-one soft harness in pretty white flower pattern. Complemented with buttons, ruffles and a bow. It is a colorful and fun summer pattern that equals sunny lighthearted fun. This dog collar is made from soft Fuchsia faux suede . The collar is studded with rhinestones and as a added touch, rhinestone are also precisely placed on the buckle. This dog collar is made from soft blue faux suede . The collar is studded with rhinestones and as a added touch, rhinestone are also precisely placed on the buckle. The leash is in a checker pattern that matches the Da Vinci coordinating dog harnesses. Leash is 55.1 inches in length and .6" wide. Make of a 20% wool and 80% polyester blend. Ship within 72 hours within the contiguous US only. International orders take 3 - 4 additional processing days. This cute dog harness has the Da Vinci plaid print design. Harness is adjustable at the neck and chest. Available in pink, brown or navy, with coordinating trim. 20% Wool / 80% Polyester shell, and out Polyester blend lining. This is a all-in-one soft harness in a Hawaiian themed design. It is a colorful and fun summer pattern that equals sunny lighthearted fun. Made from 20% Wool / 80% Polyester shell, and out Polyester blend lining. Dogs naturally enjoy the outdoors, so its no surprise they excitement when grab their leash! Walking should be fun exercise for you and your dog, but let’s stay. A dog collar and ID tag are essential, anytime they are outdoors. A proper ID tag helps your dog be easily identifiable if they get lost. In addition to a collar, a well-fitting dog harness is a must for walking your dog. They are safer and more comfortable for your dog than a collar. A dog pulling on a collar or the owner pulling back, can bruise and injure their trachea. We have many styles in a wide assortment of fabrics and designs. 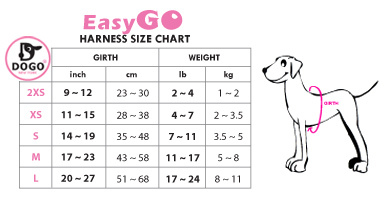 We also have a selection of Harness Wear for small dogs, which is dog apparel with a build-in-harness. Let’s not forget a good quality dog leash. A dog’s lead plays a vital role in ensuring your dog’s safety. You should always be in control of your dog, for them as well as your own piece of mind. We all love our dogs and newer information available today helps them live happier and longer lives with our families.